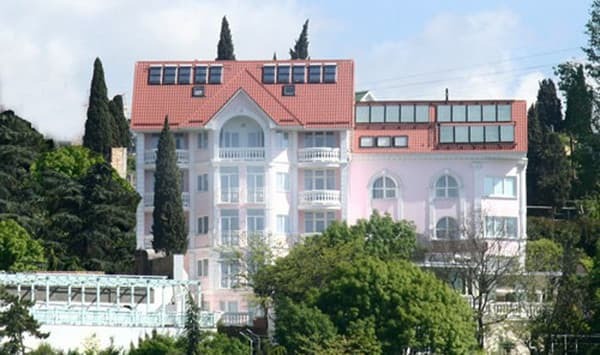 The hotel "La Bonne Maison" ("Bon Meson") is located on a hill with a view of the whole city of Alushta and the Black Sea. The hotel «La Bonne Maison» is located in the city center, the beach is a 20-minute walk away. 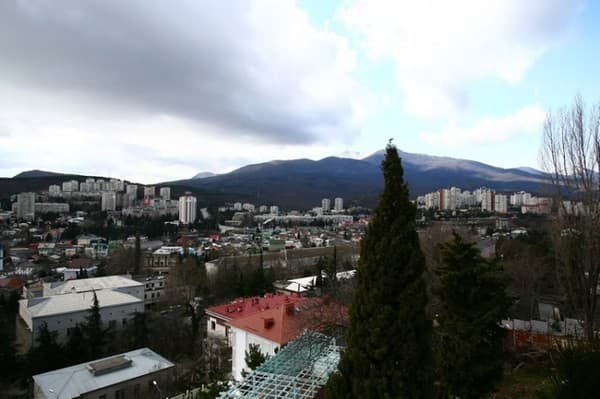 The way to the beaches runs through the streets of ancient Alushta and the city park, where in the hot summer time a pleasant coolness. The cost of the hotel includes breakfast, use of beach accessories and relaxation on the beach. 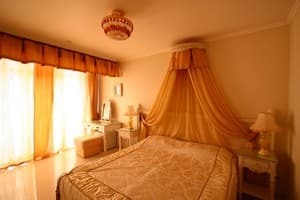 The hotel offers 40 comfortable rooms decorated according to the latest trends, 24-hour hot and cold water, swimming pool, garden, barbecue, free parking, indoor pool, fountains, gazebos, swings, playground. The hotel has a restaurant, which prepares a wonderful cook ready to offer guests a comprehensive meal and meals to order. The distance to the airport in Simferopol is 68 km, the bus station "Alushta" - 2 km. PRICES MAY CHANGE, YOU NEED TO RECEIVE INFORMATION FROM THE OPERATOR! Description of the room: In the room: a double bed, two bedside tables, a coffee table, a pouf, a chest of drawers with a mirror, a two-section wardrobe. All rooms have sea and mountain views. 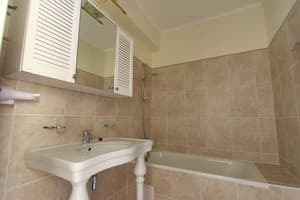 Description of the room: Room - one double or two single beds, two bedside tables, coffee table, pouf, chest of drawers with a mirror, two-section wardrobe. Balcony - table, soft or rattan chairs, folding clothes dryer. Description of the room: Rooms are located on - 3, 4, floor. The view from the room is on the sea and the mountains. Thin graceful molding, flowing on walls and ceiling. Comfortable upholstered furniture, gentle satin curtains, original sconces - all this creates a feeling of coziness and harmony. 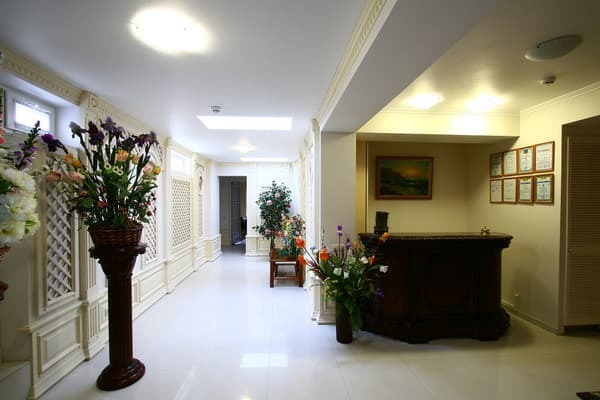 In the large room there are beautiful, solid furniture - a large, comfortable bed with an orthopedic mattress, two bedside tables, a chest of drawers, a dressing table with a mirror - will make the rest of our hotel as comfortable as possible. In a small room there is a folding sofa and two armchairs. Panoramic windows of hotel rooms in the whole wall will give a beautiful view. 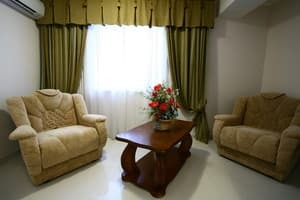 Description of the room: Spacious light rooms, graceful lines of solid furniture, soft flowing canvas atlas and curtains - all this will allow you to enjoy your vacation in a decent environment. 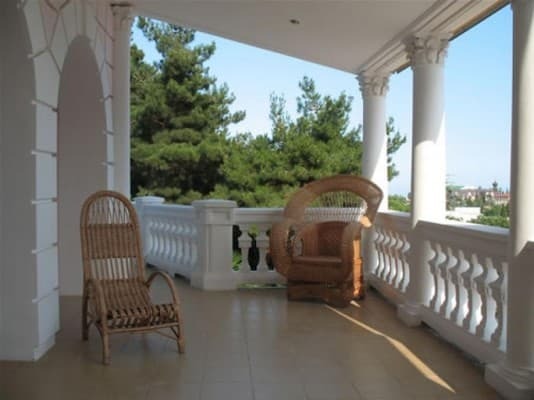 Located on the 5th floor, view from the room - to the mountains and the sea, the room has a balcony. Bedroom - two single beds with orthopedic mattresses and paddock "rook", two bedside tables, an armchair and a chest of drawers with a mirror. Living room - a soft corner with a folding sofa, a coffee table, a large three-section wardrobe. Balcony - a table and two armchairs made of rattan, folding clothes dryer. В описании номера был вид на море - на деле только горы и дорога под окном от которой шум и пыль. Включен только завтрак, которого хватит только до 11-ти, цены за питание выше кабаков до которых минут 10 ходьбы, плюс заказывать за 6 часов надо. Пляж используют какого-то пансионата - концентрация народу раза в два меньше чем на городском пляже, лежаки бесплатные только деревянные убитые и на всех не хватает. Цена - за те же деньги в Хургаде ол-инклюзив. Children under 3 years old stay free of charge. The cost of extra bed is 25% of the room price. We provide a free baby cot and a baby stroller.